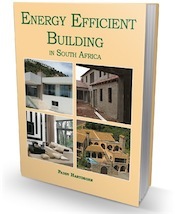 Common safety in the home must not be taken for granted. We list a few important pitfalls and some helpful advice and precautions to take to make your home a safer place to live in – for everyone. 1. 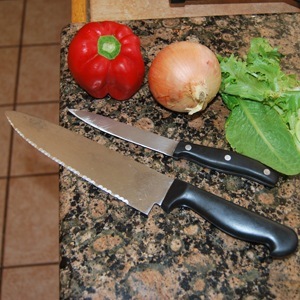 Keep knives and sharp utensils in drawers or cabinets, not on work surfaces. 2. Always slice vegetables downwards on a flat surface, keeping hands behind the cutting edge of the knife. 3. Watch for overheating when deep-frying. The pan should be no more than one-third full of fat, after the food has been added. 4. Make sure there are plenty of electric power points for appliances, and never overload them. The total load on any single socket should not exceed 13 amps. 5. Avoid trailing flexes to irons, food processors, etc. 6. Put empty cans in a closed rubbish bin. 7. Plan your kitchen so that you have plenty of workspace near the cooker and the sink. 8. Use non-slip floorings and clean up spills immediately. Have microwaves serviced regularly. Keep items in daily use within easy reach, not on high shelves. 1. 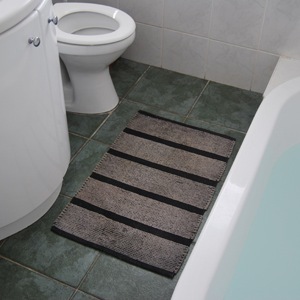 Non-slip bath and floor mats are a simple but effective way to prevent falls. 2. A hand-rail by the bath is advisable, especially for older people. 3. Three-pin sockets and flick light switches inside the bathroom are extremely dangerous and illegal according to the National Building Regulations. Pull cords are by far the best sort of light switch to use, as they are safe to handle with wet hands. 4. Keep medicines clearly labelled in a lockable cabinet. 5. Stay with children at all times when they are in the bath. A child can drown in a few inches of water. 6. Showers should be fitted with an anti-scalding device, and an isolation switch if electric. 7. All hot water pipework should be concealed or out of reach. 8. Wall-mounted electric heaters should be at least two metres above the floor. 9. Hairdryers and electric razors used in the bathroom should be kept well away from baths and handbasins, unplugged and stored away when not in use. 1. Use a non-slip backing with loose carpets and rugs, especially on polished floorings or parquet. 2. Do not lay rugs near glass doors or windows, where tripping could have serious consequences. 3. Make sure that fitted stair carpet is well-secured and kept in good repair. 1. Keep children out of the way when tackling DIY jobs and put all tools out of reach afterwards. 2. Keep all chemicals, paints, cleaners and glues locked away from children. Label them clearly and keep containers tightly closed. 3. Windows that a child could reach should be fitted with child-resistant window stays. 4. Keep saucepan handles turned in on top of the stove and train children to stay away from cooking appliances when in the kitchen. 1. When doing repairs or building projects, clear up as you go along and keep the work area neat. 2. Fit safety glass, which breaks safely, to patio doors and level windows. 3. 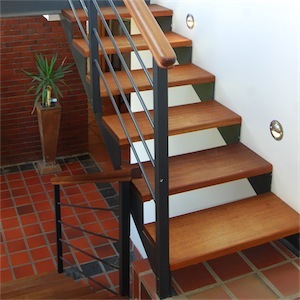 Good lighting is essential on stairs or anywhere in the house where there are steps. 4. Stand ladders on firm, level ground and ask someone to keep the ladder steady at the bottom. 5. Don’t be tempted to stretch too far when working on a ladder. Move it as often as you need to. 6. 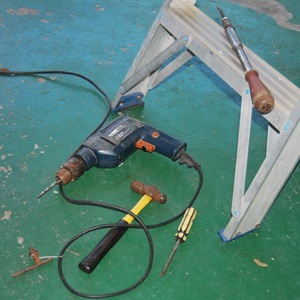 Check that power tools are undamaged and properly wired before you use them.